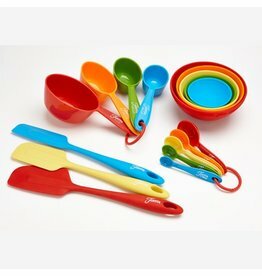 The 6 Piece Fiesta® Multi-Color Mix and Measure Set is full of Color and Uses. 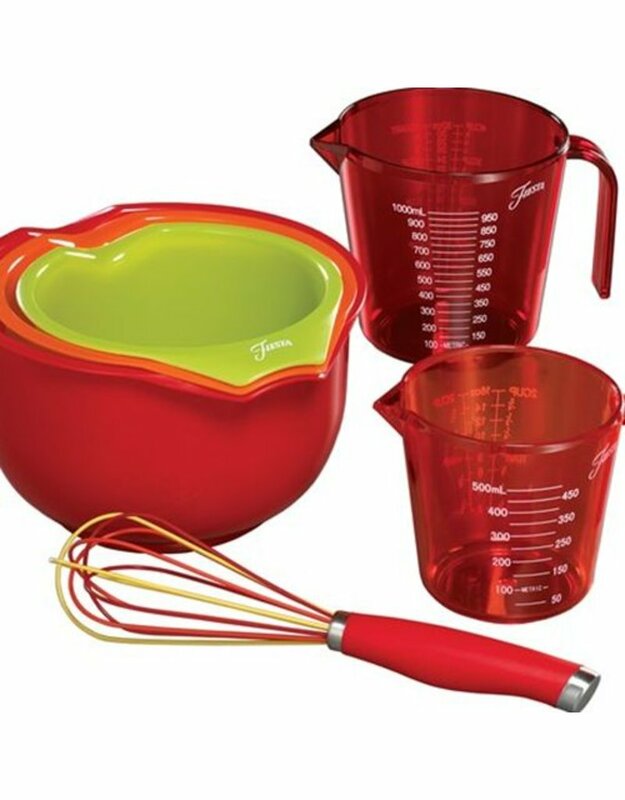 The Durable Multicolor Whisk featuring heat resistant silicone coated wires is Ergonomic and Dishwasher Safe. 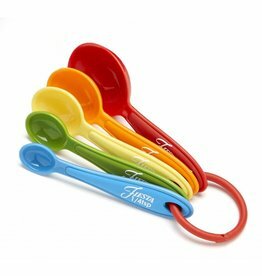 The Durable Translucent Color plastic liquid measuring tools have Easy to Read Measure-Markings and are top rack dishwasher safe. 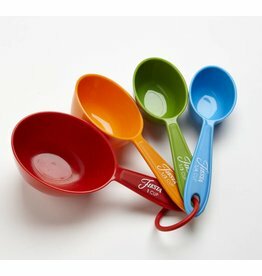 The Durable Nested plastic Mixing and pour Bowls feature unique handle design and spout for ease of use. 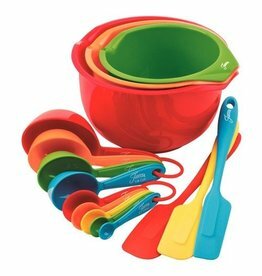 The Bowls have a Non-slip base for stability and safety. Multi-function and multiple sizes for convenience, versatility, and easy clean-up. All Pieces are dishwasher safe. Imported from China.